WIND. A Wind Advisory will be in effect for the entire area from 9 a.m. to 8 p.m. Winds will be out of the south and southwest at 20 to 30 mph with gusts up to 40 mph. HEAVY RAIN. A squall line of heavy rain and strong storms will track west to east across our area. Timing will bring that line of potential severe weather to communities west of Hwy 301 from about 11 a.m. to 1 p.m. and east Hwy 301 towards I-95 from 1 to 5 p.m. before it moves off the coast. POSSIBLE TORNADOES. In addition to heavy rain, the area will see the threat of damaging wind gusts and isolated tornadoes as this squall line passes through. SUMMARY: During the day, you should expect it to be mostly cloudy, windy with heavy rain and strong storms. Tonight, expect evening showers, a partial clearing and breezy temperatures. The AAU Nassau BallerZ and other local teams are once again able to play basketball in their practice facility at Yulee Sports Complex. When the Yulee Sports Complex did repairs that included replacement of entry doors, the installation involved cutting concrete that generated a significant amount of dust in the gymnasium. In fact, the patina of dust throughout the whole structure was so pronounced that the players of the Yulee Basketball Association/Amateur Athletic Union (AAU) were slipping and sliding on the basketball court as they tried to scrimmage. SERVPRO of Fernandina Beach/Jacksonville Northeast stepped in to save the day. A four-person team spent a day HEPA-vacuuming and wiping down the entire 6000 sq. ft. facility. When they were done, it had never looked better. It literally sparkled! The Amateur Athletic Union (AAU)has been raising champions for more than a century. 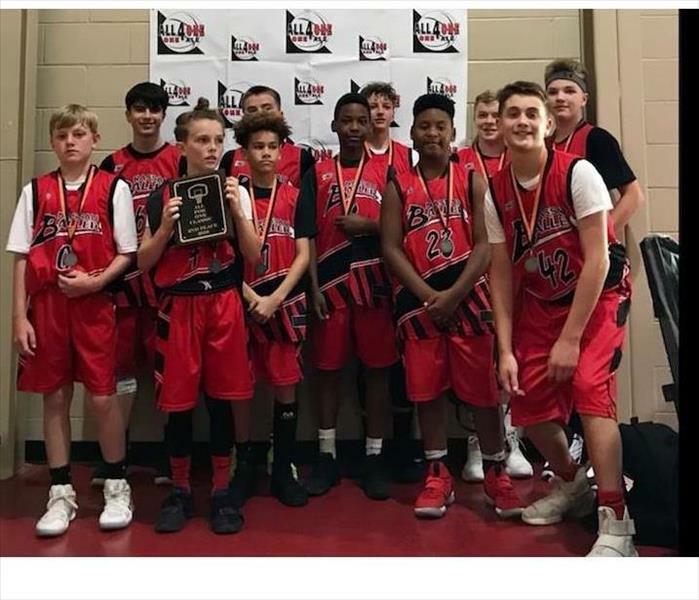 Since its inception in 1888, the AAU has set the standard for amateur sports in the United States with one goal in mind: “Sports For All, Forever.” It is more than a motto – it has been the focus and drive of AAU for 130 years and counting for sports in the United States and throughout the world. One of the largest, non-profit, volunteer, multi-sport event organizations in the world, the AAU is dedicated exclusively to the promotion and development of amateur sports and physical fitness programs. Nearly 700,000 members and 150,000 volunteers now share the AAU philosophy of “Sports For All, Forever” across 41 sports programs and 55 U.S. districts. SERVPRO of Fernandina Beach/Jacksonville Northeast is proud to support this outstanding organization that encourages youth to be active in sports and physical activities. Knowing the location of water shut-off valves before an emergency strikes helps to limit the loss of property and even lives. An incident that occurred at a local assisted living facility illustrates the value of a complimentary service that SERVPRO Fernandina Beach/Jacksonville Northeast provides. A resident had become unconscious while in the bathroom and had broken one of the plumbing fixtures. Water commenced to flood not only the resident’s room but into the hallway and into other resident rooms. There was water everywhere. The problem was that no one working the facility at the time had any idea where the water shut-off valve was located. Therefore, the flooding continued until it had affected a large portion of the facility and many residents’ rooms. 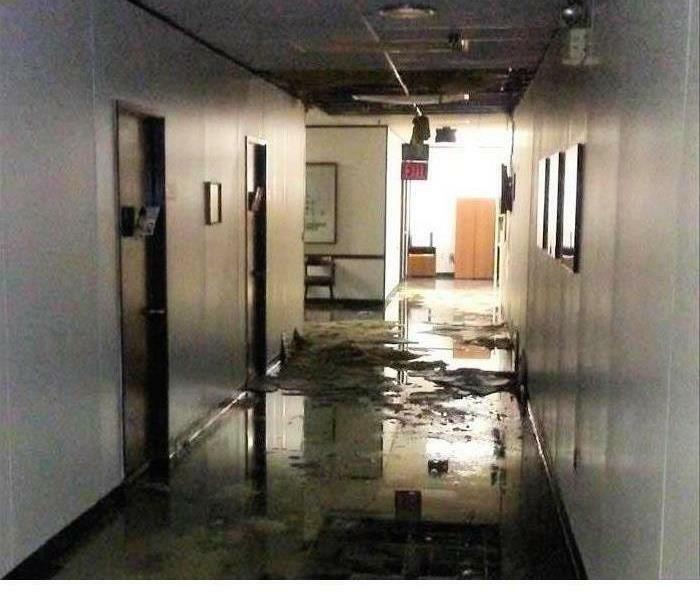 SERVPRO of Fernandina Beach/Jacksonville Northeast offers a complimentary examination of your facility that can mitigate water damage and flooding when a situation such as this one arises. Provides facility details such a water and power shut-off valve locations, priority areas, and priority contact information. Includes a report that contains the critical information needed in the event of an emergency. Identifies the line of command for authorizing work to begin. Offers a mobile app for easy accessibility of this information. Knowing the location of water shut-off valves, fuse boxes, and fire suppression system controls before an emergency strikes, not during an emergency, helps emergency responders react as quickly and effectively as possible, helping to limit loss of property and even lives. Don’t wait until an emergency occurs to call us at 904-729-2401 to schedule your ERP. We provide this free service to all commercial facilities in our territory. We serve Fernandina Beach, Yulee, Callahan, Hilliard, and North Jacksonville, including Oceanway, River City, and the Heckscher Drive and Dunn Avenue/Lem Turner areas. The likelihood of a weak El Niño is behind researchers' predictions of a below average 2019 Atlantic hurricane season. 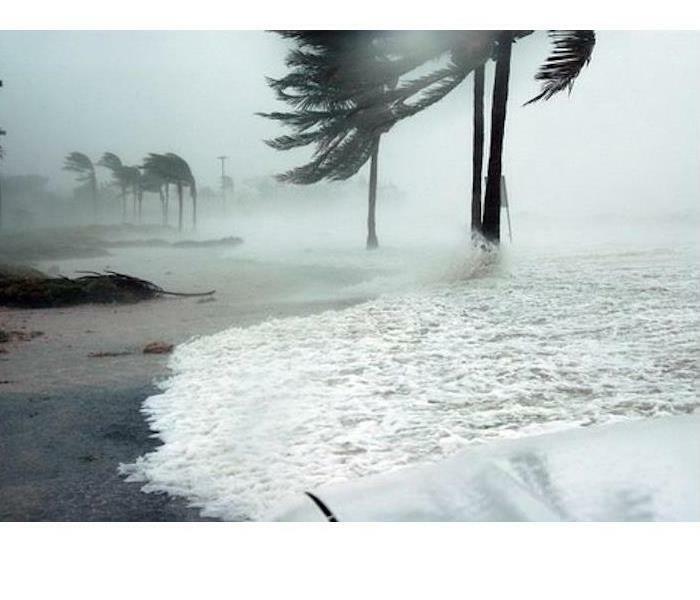 Colorado State University hurricane researchers are predicting a slightly below-average Atlantic hurricane season in 2019, citing the relatively high likelihood of a weak El Niño as a primary factor. Tropical Atlantic sea surface temperatures are currently slightly below their long-term average values and are consequently considered an inhibiting factor for 2019 Atlantic hurricane activity as well. A weak El Niño has recently developed in the tropical Pacific. CSU anticipates that these weak El Niño conditions are likely to persist through the peak of the Atlantic hurricane season. El Niño tends to increase upper-level westerly winds across the Caribbean into the tropical Atlantic, tearing apart hurricanes as they try to form. The tropical Atlantic is slightly cooler than normal right now. Colder-than-normal sea surface temperatures in the tropical Atlantic provide less fuel for tropical cyclone formation and intensification. They are also associated with a more stable atmosphere as well as drier air, both of which suppress organized thunderstorm activity necessary for hurricane development. The CSU Tropical Meteorology Project team is predicting 13 named storms during the Atlantic hurricane season, which runs from June 1 to Nov. 30. Of those, researchers expect five to become hurricanes and two to reach major hurricane strength (Saffir/Simpson category 3-4-5) with sustained winds of 111 miles per hour or greater. The team bases its forecasts on a statistical model, as well as a new model that uses a combination of statistical information and forecasts from a dynamical model. Both of these models are built on about 40 years of historical data and evaluating conditions including: Atlantic sea surface temperatures, sea level pressures, vertical wind shear levels (the change in wind direction and speed with height in the atmosphere), El Niño (warming of waters in the central and eastern tropical Pacific), and other factors. So far, the 2019 hurricane season is exhibiting characteristics similar to 1969, 1987, 1991, 2002, and 2009. “1987, 1991, 2002 and 2009 had below-average Atlantic hurricane activity, while 1969 was a very active hurricane season,” said Phil Klotzbach, research scientist in the Department of Atmospheric Science and lead author of the report. The team predicts that 2019 hurricane activity will be about 75 percent of the average season. By comparison, 2018’s hurricane activity was about 120 percent of the average season. The 2018 season was most notable for Hurricanes Florence and Michael which devastated the Carolinas and portions of the Florida Panhandle, respectively. The CSU team will issue forecast updates on June 4, July 2 and Aug. 6. SERVPRO of Fernandina Beach/Jacksonville Northeast is a Florida-licensed mold remediation firm. Mold in Northeast Florida can be disruptive to commercial and residential properties. BPL Plasma is a blood plasma donation center that helps create life-saving therapies for patients worldwide, improving the lives of patients as well as donors. In this case the center was impacted by mold. There was a vent in the roof of a storage room that houses medical supplies. 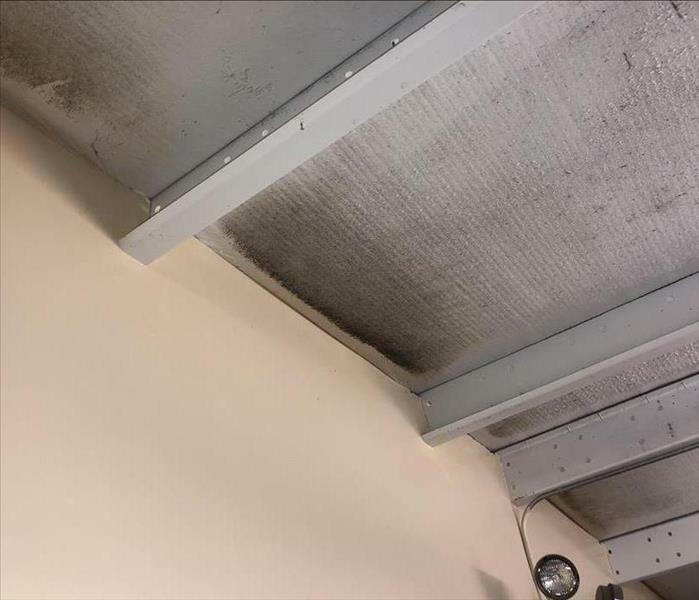 The corrugated roof was covered over to maintain a 67 degree temperature in the storage room, but mold had formed where the hot air met the cold temperature and caused condensation. Mold had affected the ceiling and surrounding insulation. Here the problem was noticed early on and the solution was HEPA vacuuming the affected area, cleaning, applying anti-microbial and sealing the gap so hot air couldn’t get in and cause condensation. SERVPRO of Fernandina Beach/Jacksonville Northeast was able to correct the problems without disrupting operations of the facility. SERVPRO of Fernandina Beach/Jacksonville Northeast is a licensed mold remediation contractor in the state of Florida. Our company is IICRC certified, and our technicians are certified by the Institute of Inspection Cleaning and Restoration Certification (IICRC). Learn more about our mold remediation services, and call us at 904-729-2401 if you have mold issues. 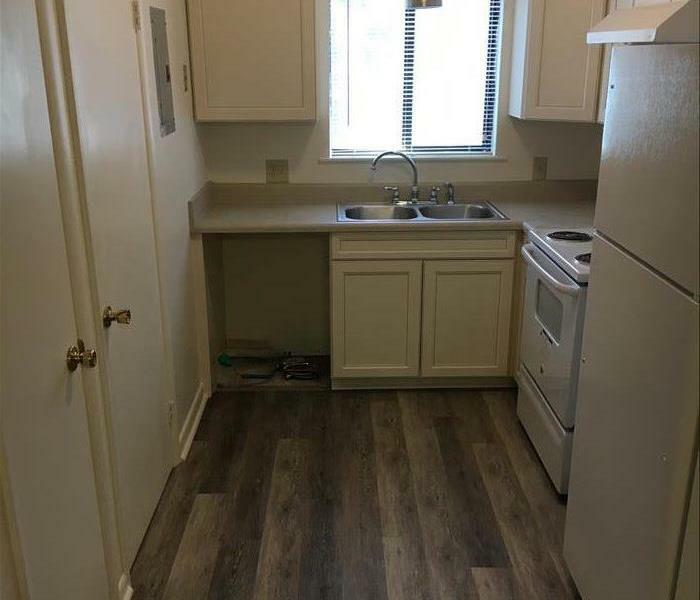 The kitchen in this condo was destroyed due to water damage. We did a turnkey job, mitigating water and mold damage and then a complete renovation. After protecting and securing the structure, professionals at SERVPRO of Fernandina Beach/Jacksonville Northeast can begin the restoration process. Your home or business may need reconstruction work to get your property back to its preloss condition. The professionals at SERVPRO of Fernandina Beach/Jacksonville Northeast can simplify the restoration process by handling both the initial damage mitigation and rebuilding the affected areas. Having one qualified company for the entire process can save time and keeps costs down. SERVPRO of Fernandina Beach/Jacksonville Northeast can provide this continuity by supervising a full range of restoration/reconstruction services that will bring a building back to full functionality. These services may be limited to replacing drywall, baseboards, and trim boards, or may entail a complete renovation if desired-including floors, cabinetry, appliances, countertops, painting, and a host of related services. 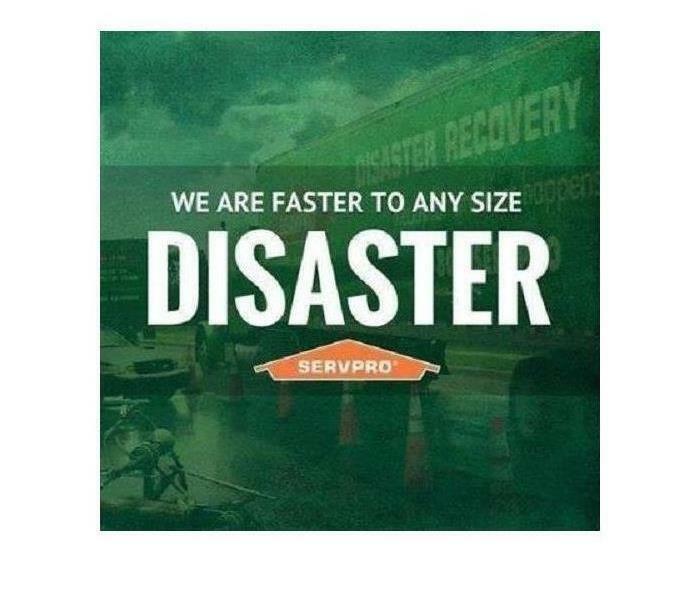 If you would like more information on hiring a restoration/reconstruction team, call SERVPRO of Fernandina Beach/Jacksonville Northeast today at (904) 729-2401. Why SERVPRO of Fernandina Beach/Jacksonville Northeast? We Are IICRC-Certified. When you see a IICRC logo, you can be confident that an experienced, qualified professional is caring for your property. 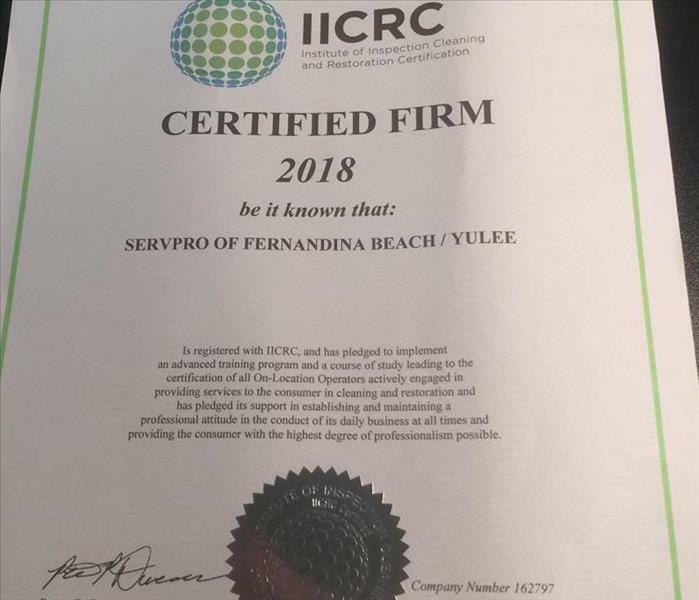 SERVPRO of Fernandina Beach/Jacksonville Northeast is proud to be an IICRC certified firm. IICRC, or the Institute of Inspection Cleaning and Restoration Certification, is a non-profit organization for the cleaning and restoration industry. The goal of the IICRC is to establish and advance globally recognized standards and certifications for the inspection, cleaning, and restoration and installation industries. To accomplish this goal, the IICRC sets standards and certifications for inspection, cleaning, and restoration. The IICRC ensures that when consumers hire a certified firm or technician that they have hired experts who will provide reasonable assurance that work will be completed in accordance with the industry's "standard of care." The technicians of SERVPRO of Fernandina Beach/Jacksonville Northeast set themselves apart through training, experience, and comprehensive examination. 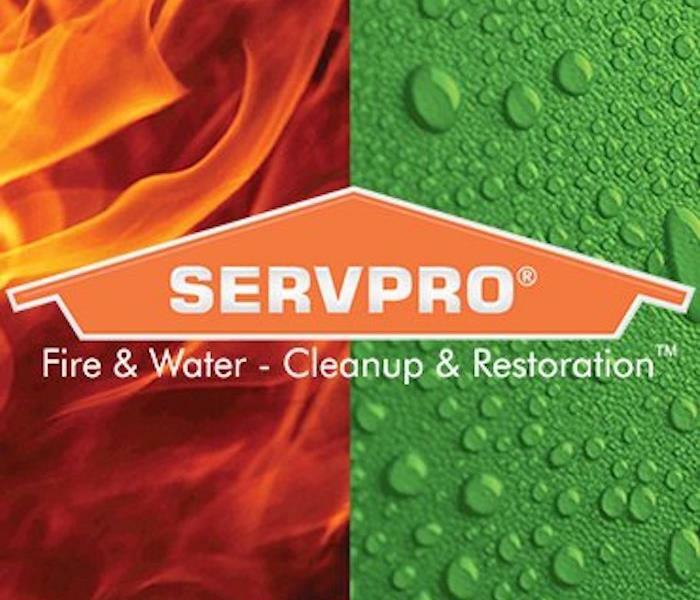 If water, fire, or mold damages your home or business, please contact SERVPRO of Fernandina Beach/Jacksonville Northeast at (904) 729-2401. Timely mitigation is the key to minimizing damages and our 1-4-8 guidelines ensure we get the job done fast! The longer it sits, the worse it gets. Timely mitigation is key to controlling damage, downtime, and recovery costs. You will appreciate the rapid response and training of SERVPRO of Fernandina Beach/Yulee to help limit damage and get your home or facility back to normal quickly. You can count on SERVPRO’s 1-4-8 service guidelines to ensure that timely mitigation happens. 4 Hours – Within four hours of loss notification, SERVPRO of Fernandina Beach/Yulee will be on-site to start mitigation services (if necessary). 8 Hours – Within eight business hours, we will initiate a verbal briefing of the scope of damage and needed mitigation efforts. These guidelines are a corporate-wide standard that all SERVPRO franchisees are expected to meet. Call SERVPRO of Fernandina Beach/Yulee at 904-729-2401 if you have water or fire damage at your home or place of business. Restoration, rather than replacement, where possible saves our customers thousands of dollars. The insurance and restoration industries have performed multiple studies that conclude restoration has many advantages over replacement. As a preferred mitigation vendor for most major insurance companies we are charged with a duty to restore whenever possible. The major advantage to restore vs. replace is cost. In almost any situation, restore saves a tremendous amount of money compared to replacement. One area where we can generate huge savings in a water loss situation is drying of hardwood floors instead of replacing them. Even after incurring the cost of air movers, dehumidifiers and even specialized equipment usually there is a 45%-75% cost savings over replacement. Another common example would be the drying of carpet and/or drywall. Again using air movers and dehumidifiers and following the science of drying we can often save 75%-90% over replacement cost. You can imagine how quickly these savings add up. Another advantage of restore versus replace is time savings and business interruption savings. Drying a structure usually takes an average of three to five days. After our drying is completed, you or your customer should be back in their house or business right away. Back, as we like to say, “Like it never even happened.” If you look at the alternative which is replace, you or your customer will have to wait weeks or even months to get back into their home or business while construction is going on. This leads to expensive hotel bills for residential customers or catastrophic business interruption costs for commercial customers. Either way you are talking a great deal of money, time and inconvenience! For these reasons we at SERVPRO look to restore whenever we can and whenever it makes sense. We accomplish this by not only using our extensive training, knowledge and resources but also by responding immediately so that the impact of the water or fire damage is reduced. If you have water damage at your home or place of business, call SERVPRO of Fernandina Beach/Yulee right away at 904.729.2401. Some 30,000 square feet of water had flooded the office space and workshop of this North Jacksonville power plant. When a water main in the ceiling busted and flooded the office space and a workshop of a North Jacksonville power plant, SERVPRO of Fernandina Beach/Yulee/North Jacksonville was called in to help. Unfortunately the incident happened shortly after closing hours and flooded overnight--so before we were called in, some 30,000 square feet of water had flooded the space. SERVPRO of Fernandina Beach/Yulee/North Jacksonville arrived immediately to the scene and extracted the water and began the drying and cleanup process. Cleaning a flooded company property following water damage is a daunting task. Not only do you have to restore the property itself, but all the affected items such as office furniture and electronics as well. Following are some of the considerations following a commercial water damage situation. Understanding the different types of water damage can help expedite the process and ensure the appropriate cleanup measures are taken. The three main types of water damage are clean water, gray water, and black water, ranging from least to most dangerous respectively. 1. Clean water is the least harmful of the three and is usually caused by a broken pipe, outside leak, or water overflowing from an appliance. 2. Grey water is basically contaminated clean water and requires a few safety precautions to protect against any bacteria that may exist. 3. Black water is the most hazardous type of water damage and requires specific safety measures to protect clean-up crews. 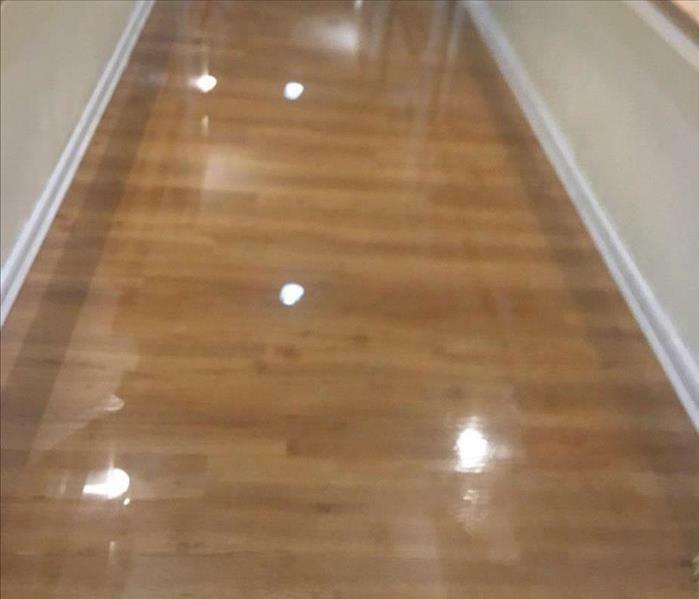 Water damage from black water is usually best handled by a professional cleaning service as the contaminants can range from bacterial disease, chemicals, and toxic materials. After determining the cause and severity of the damage, you can better chart a course of action for replacing the items in the flooded company building. The majority of office items fall into three main categories: furniture, paperwork, and electronics. 1. Cleaning and replacing furniture. Any affected fabric furniture items may need dry cleaning following water damage. Wood items can usually be restored with sanding and refinishing, depending on the extent of the damage. 2. Restoring paper items. Paperwork can take a significant effort to dry and restore. Drying documents, binders, or books using dehumidifying or vacuum freeze-drying processes can help restore these items. 3. Handling electronics. Many electronic items also benefit from air drying and dehumidifying. It is typically important to handle these items carefully and quickly to help prevent corrosion or any further damage. Getting your commercial property back in order doesn’t have to be a total loss. If you are affected by a flooded commercial property in the Jacksonville/Fernandina Beach area, make sure to consult a professional clean-up crew as soon as possible to help ensure proper and thorough cleanup. Call SERVPRO Fernandina Beach/Yulee at 904.729-2401. 3/4/2019 - Why SERVPRO of Fernandina Beach/Jacksonville Northeast? We Are IICRC-Certified.